Product prices and availability are accurate as of 2019-04-11 09:12:28 EDT and are subject to change. Any price and availability information displayed on http://www.amazon.com/ at the time of purchase will apply to the purchase of this product. 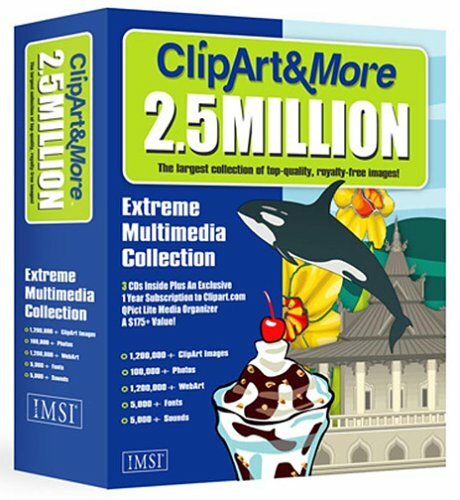 Clip Art & More 2.5 Million -- it has an incredible, immense selection of high-quality images that fit any situation. It's the perfect way to add images, animation and photos to any print or online project or presentation!